Amfri Farms is a 1,500-acre-family owned farm located in Kyampisi in Nakaseke District, 85kms north of Kampala. It was acquired from a sugar cane plantation by the late Amin Shivji at a tender age of 25. According to Lillian Anguparu, the company secretary and managing director, the late Amin Shivji’s vision, was to have a purely organic farm in Equatorial sub-Saharan Africa. She says Shivji was among the Ugandans of Asian origin whose properties were nationalised by former president Idi Amin. Accusing them of succeeding by robbing the country, he expelled the Asians, forcing Shivji to flee to Canada and abandon lecturing at Makerere University. However, in 1990, Shivji began on the process of repossessing the farm, which he succeeded in 1994. However, he finally got it back in 1996. By coincidence, in 1996, he met Fitz Plattner, a solar energy expert who was toying with the idea of starting commercial organic farming in Uganda. Plattner, who had a company selling Ugandan fruits and vegetables abroad, felt that partnering with Shivji would be good business. Two years later, they started the certification process which took them two years to get. 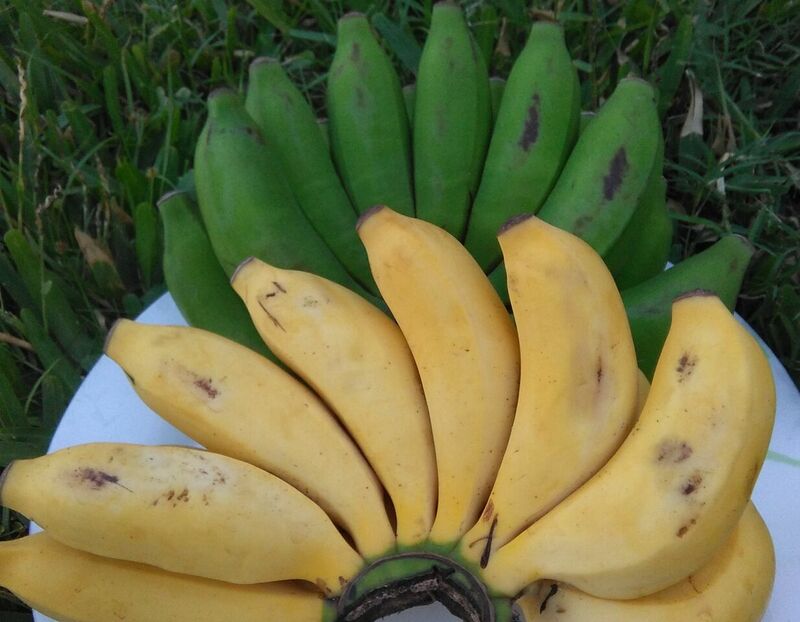 They also got outgrowers in fruits and vegetables handling pineapples, apple bananas, okra and chilies, which they mainly exportto the United Kingdom and Netherlands. They started with 500 kilogrammes a week. But since these were fresh vegetables, there was a lot of waste. Flitz designed a solar drier for the drying system which was powered by water but has now been replaced with an electrical drier. Once it heated, water run through the drier. However, when the market grew and the volumes increased, the drier could not handle the volumes anymore. The farm now produces fruit pulp for export and it is used to flavour yoghurt and ice cream. Other products include paw dices, banana purees and they have introduced herbs, spices and vegetables. The farm boasts of 2,000 out grower farmers who are trained by bio-dynamic consultants from Europe to certify them. Anguparu says much as people think organic farming does not involve spraying, the philosophy behind it believes that soils must be fed with nutrients which is done through composting. The materials used in the compost include dry grass, a layer of fruit waste, preferably green material such as weeds, and a layer of animal waste like chicken droppings and cow dung which must be stored in an organic way. The compost should take 120 days with monitored temperatures and should be applied on the crop before transplanting. The compost helps with water retention during the dry season as well as weed control. These are shipped to Europe, mainly Denmark, where the farm has established a sales office. Anguparu says although it is good to emphasise production, the market should be controlled. They havee now established sales offices in Holland, France, Belgium and Sweden. Amfri Farms has also ventured into the United States and Canada where they are selling dry fruits. They also sell fresh fruits and vegetables to Dubai and Bahrain where they ship two tonnes of mixed fresh fruit, five tonnes of mangoes, sweet potatoes, spices and chilies. Anguparu explains that the fruits and vegetables are exported at horticultural maturity not physiological maturity when they are harvested so that the customer receives the products when they are ready. She says during peak times, they export 10 tonnes of bananas daily but during the low seasons they export five tonnes daily. In Kampala, the company employs 50 workers, while at the farm there are nearly 250 employees. Management has about 10 members and they have acquired another farm in Masaka with about 100 employees, which is undergoing conversion to bio-dynamic farm. The venture earns them an annual turnover of $1.2 million (Shs4 billion) which they hope to multiply tenfold when they shift the factory to their farm in Kyampisi. They export four containers of processed product and 20 tonnes of processed dry fruits. This means they have to transport 15 times the amount of raw materials they need to process the fruits and vegetables from the farm. The labour intensive exercise involves cutting passion fruits and washing them manually. Scooping of the seed is also done manually and the seed is run into the pulping machine to separate the seed from juice. She says they do not concentrate the juice but freeze it to negative 23 degrees so that when it gets to the destination, it can be used for the different blends. Obří plod (min. 25 cm v průměru a vážící několik kilogramů) je pokrytý tlustou drsnou kůrou olivově zelenožluté až hnědé barvy se silnými hranatými výstupky. Podíl jedlé části je však poměrně malý. Konzumujeme dužinu, která je rozdělena do světle žlutých segmentů, skrývajících vždy jedno velké semeno. Její konzistence je lehce gumovitá a při vysoké zralosti slizovatí. Tvar segmentů je mírně trojúhelníkovitý a na povrchu podélně zvrásněný. Vůně tohoto ovoce je velmi jemná, stejně jako chuť, která je nasládlá, osvěžující, podobná banánům, nektarinkám a vzdáleně připomíná žvýkačky Pedro. Jelikož trvanlivost vyloupaného jackfruitu je velmi omezená, je dobré skladovat jej v chladu. V Indii se používá i do slaných jídel a často nahrazuje maso, což lze s úspěchem aplikovat ve vegetariánské gastronomii. Lze jej konzumovat i nezralý. Jí se syrový či tepelně upravený. Po uvaření ve slané vodě se konzumuje jako zelenina. Semena chuťově připomínají kaštany a mohou se jíst syrová, ale je také možné je péci nebo vařit jako fazole, případně konzumovat syrové. Největší doposud sklizený plod vážil téměř 80 kg. 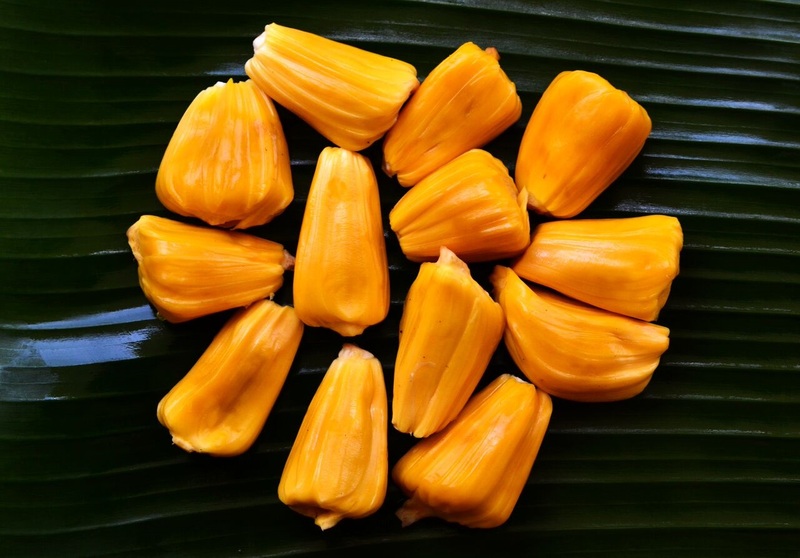 Jackfruit obsahuje vysoký podíl vlákniny, a kromě řady vitaminů i významné množství vápníku a fosforu. Jeho plody jsou největším ovocem na světě, rostoucím na stromě. Pochází z jižní a jihovýchodní Asie, odkud se rozšířilo také do Afriky. V Indii je považováno za jídlo chudých. Philip Betts, the managing director at Esco Uganda Ltd, an exporter of organic cocoa and vanilla, said although cocoa production is growing, it is at a rate slower than the growth in global demand. “Cocoa production is increasing. but the demand is growing much faster, resulting in high prices,” Mr Betts said. 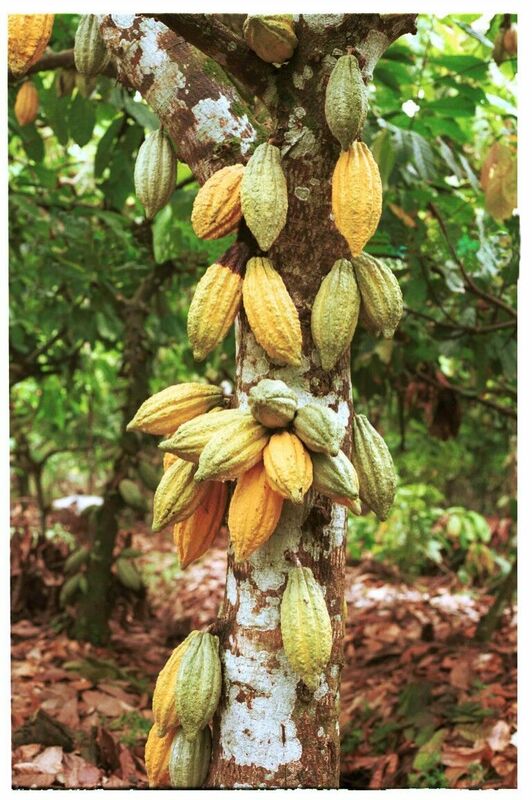 Uganda has about 21,000 hectares of land under cocoa cultivation, mostly in the west and central regions. The crop supports an estimated 10,000 households across the country. Cocoa farming was introduced in Uganda more than 100 years ago, but its fortunes have been mixed through the years as governments have focused on promoting coffee, sugar and tea production. The demand for chocolate products is surging worldwide, particularly in developing countries. Last year, the world consumed more than 4.3 million tonnes of cocoa beans, a 32 per cent increase in a decade. Chocolate sales in Asia are forecast to grow by 23 per cent over the next five years, and by almost 31 per cent in Latin America, according to London-based research firm Euromonitor International. That compares with growth of 8.3 per cent in North America and 4.7 per cent in Western Europe over the same period.